You can find affordable used car deals in Eugene at Kendall Acura. We have a list of specials available on this page within our pre-owned inventory. Our specials are always evolving so please check back often to find the one that works best for you. Take a moment and browse cheap cars for sale here at your local Eugene Acura dealership. If you find one you would like to test drive, come by our dealership located at 846 Goodpasture Island Road in Eugene, OR 97401. We are only a short drive away from the surrounding areas of Springfield, Corvallis, and Albany! Come say hello and check out our Eugene used cars in person. We also provide affordable used car financing in our Kendall Finance Department. Visit today and get pre-approval by applying for a Eugene car loan. Have a trade-in? Perfect! We’ll purchase your used car and give you nothing but a fair trade-in value in return. Fill out our trade-in value form and you will receive the true market value of your current vehicle plus the opportunity for a no-obligation car appraisal. It’s hassle-free and fast. Our friendly and knowledgeable sales team is here online and by phone if you have any questions. If you are interested in any of the vehicles listed here, fill out our contact form and request additional information. You can also share this deal with a friend who’s looking for a discount car or that might be jealous of your awesome bargain. 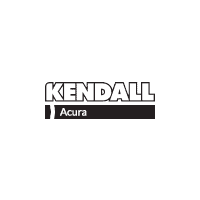 Feel free to print any of the specials out and bring them with you to our Kendall Acura showroom. Thank you for visiting and we look forward to working with you and getting you into one of our great used car deals in Eugene very soon!